KCK stated that security has been maintained in and around Shengal, saying that the Iraqi government has started to take steps to answer the demands of Ezidis. 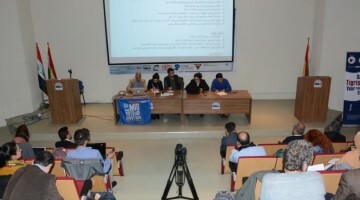 Kurdistan Communities Union (KCK) Executive Council Co-presidency released a statement about the situation in Shengal town in Southern Kurdistan. KCK pointed out that 3 August 2014’s conditions are no more present and Ezidis are an organised society now, saying that security has been maintained in and around Shengal and guerrillas forces will be withdrawn from the town for this reason. “It is indisputable that we will be with the Ezidis in Bakur, Rojava, Bashur and Iraq in the event of an attack from any target. 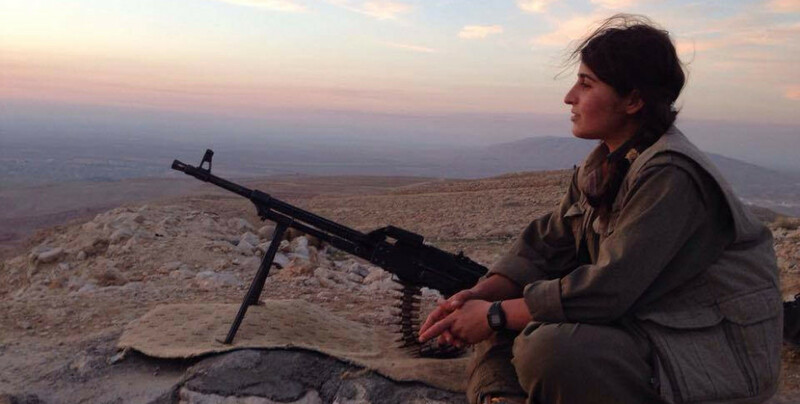 Guerrilla forces intervened in Shengal in order to rescue the Ezidis from genocide. With the confidence of reaching this goal, guerrillas are withdrawing from Shengal," KCK said. "Humanity enemy ISIS invaded Mosul and then attacked Shengal with the support of AKP government. Ezidis faced a great genocide they called the 74th firman (decree). 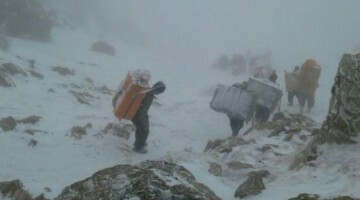 This genocide attempt was first intervened by 12 self-sacrificing fighters, after which HPG-YJA Star guerrillas and YPG-YPJ fighters rushed to the scene and prevented this genocide. In this way, guerrillas prevented humanity from the sin of a most cruel, most pitiless and deadliest genocide. The guerrillas’ resistance in Shengal became the resistance of entire humanity. Guerrilla prevented ISIS from dominating Shengal and then cleared the town of them. ISIS gangs were expelled from around Shengal after the capture of Mosul by the Iraqi army. With the protection of Ezidis from a genocidal attack by the guerrilla, Shengal became an issue of all humanity. Besides our Freedom Movement, the entire humanity showed awareness for the Ezidis, one of the most ancient faith group in history. 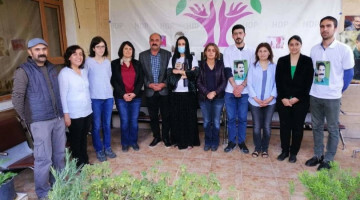 With the lessons they drew from their history and from the 74th firman they suffered on 3 August 2014, Ezidis made themselves into an organised democratic society in order not to face another genocide. For Ezidis, the past four years have been a period of self-re-creation under free circumstances. Ezidis established a relation with the Iraqi government after ISIS was completely expelled from the surroundings of Shengal, and they started efforts to resolve their problems through talks. The Iraqi government also showed sensitivity towards answering the demands of Ezidis. As a result of talks with Iraq, Ezidis stated that they are in the process of creation of circumstances for the meeting of their demands. The threat against Ezidis was partially eliminated after the defeat of ISIS in the region. The approach of the Iraqi government and the Kurdish people’s becoming an organised society revealed a level that appeases security concerns. In this regard, the conditions in which our guerrilla forces intervened in Shengal, were largely eliminated. On the other hand, it is seen that the Turkish state and some other powers are making efforts to make the Kurds and Iraq confront each other. The Iraqi state ignoring such policies of Turkey and showing sensitivity for the security and self-governance of the Ezidi people, enabled us to review the presence of guerrilla forces in Shengal. In consideration of the facts that Ezidis became an organised society, reached the level of ruling themselves in Shengal, that Iraq is sensitive to their democratic demands and manifests a favorable approach on their security, we have decided to withdraw our guerrilla forces from Shengal. Guerrillas intervened in Shengal in order to rescue the Ezidis from genocide. With the comfort and confidence of achieving this goal, guerrillas are withdrawing from Shengal. Since the day it was founded, our Freedom Movement has always been sensitive about the Ezidis. Especially Leader Apo has always shown sensitivity for Ezidis and repeatedly warned our Movement for the protection of Ezidis. The Leader’s remarks have always been an instruction to us. It is indisputable that we will be with the Ezidis in Bakur, Rojava, Bashur and Iraq in the event of an attack from any target. However, the Iraqi government’s presence in and around Mosul and Shengal, and their close relations with the Ezidis show that there will no such a need at such a time.